With all that being said, we are also fully exposed to the immense issues and the general horrible personality traits that make Rick the Rickest Rick. Beyond being a very anti-establishment galactic terrorist who destroyed the Galactic Federation, he was horrible to his family. Rick’s cause of Jerry and Beth’s divorce really shakes up the family for his benefit alone. He makes many disturbing choices to manage or avoid his family’s issues. He creates a literal pocket dimension to keep his sociopathic kid from doing stuff like killing animals or kids. This could have been avoided if he supported her or provided a therapy outlet. Then, he used memory erasing technology to both erase memories of extremely traumatic experiences from Morty’s mind (with or without his permission) and, most terribly, erasing moments from Morty’s memory where Rick did something stupid or made a mistake. In “Pickle Rick,” Rick did turn himself into a pickle to avoid going to a much-needed family therapy session. He finally attended when Beth took the serum to turn him back and save his life. During the session, all he did was ask for the serum or rant about his hatred for therapy. This, however, backfires as it results in the one moment Rick is actually called out on his garbage and is left with no response. To summarize, Rick is a self-loathing narcissist whose intelligence gives him ultimate freedom and power. Yet, he is haunted by the meaninglessness of life. His self-serving morality, selfishness, and terrible choices are something he chooses himself but can’t accept. Ultimately, he hates feeling bored which prevents him from having any healthy relationships despite his own loneliness and habit of running away. This results in the main conflict of the last two episodes. After Beth realizes she may be evil, he encourages her by explaining his own views on intelligence and the universe. He tries to offer Beth his own form of comfort through his skewed priorities and worldview. If she takes it is left ambiguous but is immediately brought up in the last episode. Is Beth a clone or not? Rick gives her a very bad explanation that ultimately pushes her back into Jerry’s arms. This leads to the undoing of all the work Rick devoted to controlling his family and essentially puts the status quo back into place. With the final ending of the family laughing at his expense, Rick finally experiences his first major loss. This season as a whole was a very good one with its experimentation of a more overarching plot of the family’s adjustments meshing well with the character development. With the series’ signature dark humor and interesting lessons, “Rest and Ricklaxation” was a great example. 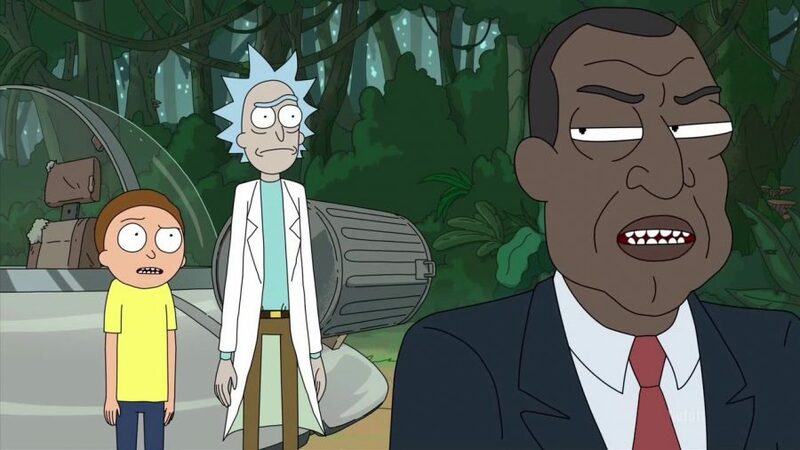 The episode’s moral is that our negative qualities are just as important as our healthy ones; our actual ability to define these qualities is very foggy, laced with the insanity of the toxic and healthy Rick and Morty antics. The amazing sci-fi themes and elements are quite strong. The immortality field from “The Whirly Dirly Conspiracy” and the detoxifier chamber from “Rest and Ricklaxation” are strong standouts for me. The creators of this series did a very good job, providing a deeper moral structure. Rick can be a hilarious, sympathetic, and maybe even worthy of respect character. However, he is also an abusive, neglectful, selfish, nihilistic alcoholic who has brought nothing but chaos to his family. Being responsible for countless deaths, he has many underlying issues behind all the swagger and self-assurance. People should learn from his shortcomings, not embrace them and cause discord. He’s the man who is the master of his own universe but chooses to be horrible. This behavior isn’t healthy; his quest for Schezwan Sauce has brought so much chaos in both his world and the real world. So it’s your choice. Will you chase the sauce like Rick or be happy with your human existence?